Winter weddings are a growing trend for newlyweds. 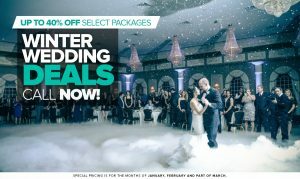 Couples can take advantage of amazing discounts from venues, florists, limos, and almost all other wedding vendors. January, February, and March are typically the “slow season” for weddings. Venues and vendors have empty dates and even weekends which they will gladly fill in at a discounted rate! Whether it is a discount on price or an upgrade in packages and services, couples should be aware of the winter months and how much more they can get for their money! This is not to say that couples should be expecting 50% discounts or any free services, but instead that venues and vendors should be more lenient on pricing and services for these months. When booking entertainment, the number 1 question most brides today ask is, “What is your price?” With the ease of emailing 100s of vendors for pricing at once, the most important aspect of booking your entertainer, personality, is lost. Mystical Entertainment Group has been in the industry over 15 years and we strive to be the best djs in New Jersey. 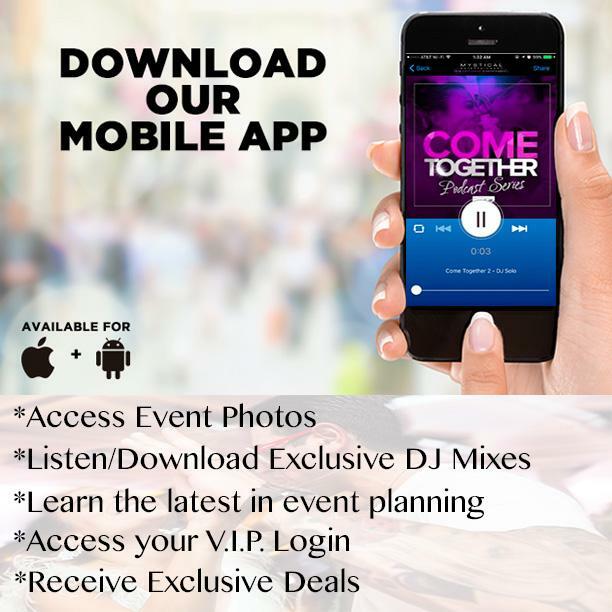 Our track record speaks for itself and we know there is no price you can put on having peace of mind that your entertainment will kick @ss at your wedding!! Our pricing starts at $1995 and we help customize an amazing package to fit your needs. We take time to understand who you are and customize music selections from cocktail hour, straight to the last song. Our amazing login system enables you to add Must Plays, Dedications, Dinner Music, DO NOT PLAYS, and even cocktail music and the last song. This is our life and we guarantee to pour our heart and soul into your special day. Take a look at the video on the right (or below on mobile) to learn some interesting statistics and book your meeting today. Mystical Entertainment Group takes pride in doing extensive research to create the best special effects possible. Our experience in Broadway special effects allows us to SAFELY produce amazing visual effects for your wedding day. Producing an effect like below requires a special process and lots of expensive equipment. Beware of the imitators…you might see waiters and guests slipping everywhere!! NY Giant Zak Deossie and Kate SURPRISE FIRST DANCE! !